A scene from KPMG's video showing off its China-based Digital Ignition Centre. Former Dell EMC executive Armughan Ahmad is joining KPMG Canada’s Toronto office to take on the role of Canadian managing partner and president of digital technology solutions, the advisory firm announced Tuesday. A Canadian with international experience as a technology executive, Ahmad sees his role with KPMG as helping to build Canada’s innovation economy by helping clients re-skill their workers for digital processes. He says the firm will do that by scaling up KPMG’s own talent base with more than 1,000 new roles within the next few years. KPMG will also be looking to build out more Digital Ignition Centres in other Canadians cities after KPMG opened the country’s first one in Vancouver late last year. Armughan Ahmad is KPMG’s new Canadian Managing Partner of digital and technology solutions. (Photo from Twitter). Pointing to a discussion at the World Economic Forum in Davos, Switzerland last week, Ahmad referenced that the future of work will carry with it the need to retrain a lot of workers. In The Future of Jobs Report 2018, the results of an international survey with 313 responses reveal that 50 per cent of firms anticipate a reduced workforce due to automation by the year 2022. At the same time, 28 per cent said they’d be expanding their workforce, and 48 per cent said they’d expand the use of task-specialized contractors. A table from the World Economic Forum shows how automation will impact different industries. About three-quarters of firms say they’re planning to retrain workers over the next three years. That’s good news for firms like KPMG, because three-quarters of firms also say they’d prefer professional services firms as partners to manage that transition, second only to specialized internal departments. 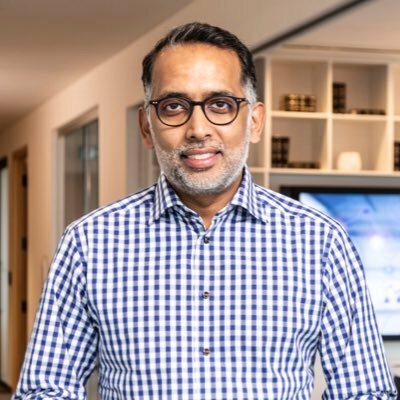 KPMG has built its reputation over about a century of auditing and providing tax advice to clients, Ahmad says, and now with more clients demanding help in adopting digital technology and adapting business processes around them, the advisory firm is scaling up those services. But it will take more than just one consulting firm to transform Canada’s economy. “The best practices I’ve seen from other countries and regions is that it’s not one company that can do this, it’s a consortium that has to come together,” he says. Government needs to be involved, as do research universities and the startups and scale-ups that have proven they can innovate. KPMG will also be working with its technology vendor partners, integrating their solutions into the operations of clients and training staff on how to take advantage of them. Ahmad points to partnerships with major cloud providers Amazon Web Services, Google Cloud, and Microsoft Azure. He also references software vendors that help operate a business’ front office (Microsoft Dynamics CRM), the middle-office (ServiceNow), and the back-office of finance, HR, and IT (SAP and Oracle). “We need to take all of this, the front office, the middle office, and the back office… [clients] are moving towards a business model where they can use the technology to transform their customer experience,” he says. With ambitions to hire more than 1,000 in Canada, Ahmad says that partnerships with universities will be important to help KPMG identify candidates early-on. In December, KPMG Canada announced it would be working with Simon Fraser University’s Beedie School of Business to create a program called Digital University. That program is open to KPMG employers within the Audit practice and between three and six years experience. It teaches technical knowledge in data analytics and how to apply those skills to yield business insights. A strong sense of corporate social responsibility will also be a focus for KPMG in attracting younger workers, Ahmad says. KPMG also offers the opportunity to work at different locations around the world. KPMG already works with some value-added resellers and managed service providers, but with Ahmad’s experience working at Dell EMC and before that at HP, there could be more involvement with channel partners in the future.